These cult loafers were launched in 2009 and were inspired by Michael Jackson and his distinctive stage style. Soon after the release the loafer was seen on many celebrities such as Kate Moss and they sold out quickly everywhere. As a tribute to the King of Pop, Repetto Michael loafer, also called Jackson loafer, has since become a closet essential for many. And as a loyal Repetto fan, Kate Moss has kept this loafer style as her signature shoe since its release and even wore it at the funeral for the King of Pop. Michael shoe is build on the sam. Read more..
Michael shoe is build on the same last as the well-known Zizi oxford shoe. Sleek and dainty silhouette is finished with contrasting edging in textile for a fine polished look. The inside is lined with ecru cotton jersey. Insole is made from white sheepskin for all-day comfort and stamped with Repetto logo. This one of those shoe styles you certainly will find in fashion history books over the years. Michael is made with “stitch and return” technique which is characteristic to Repetto house and traditionally used in dancing shoes. The technique was developed by Madame Rose Repetto: founder for the brand and mom for world famous ballet dancer and choreographer Roland Petit. Madame Repetto is also known for creating the cult model Cendrillon ballerina for Brigitte Bardots request. 1 x Michael Loafer Black Patent was added to your shopping bag. 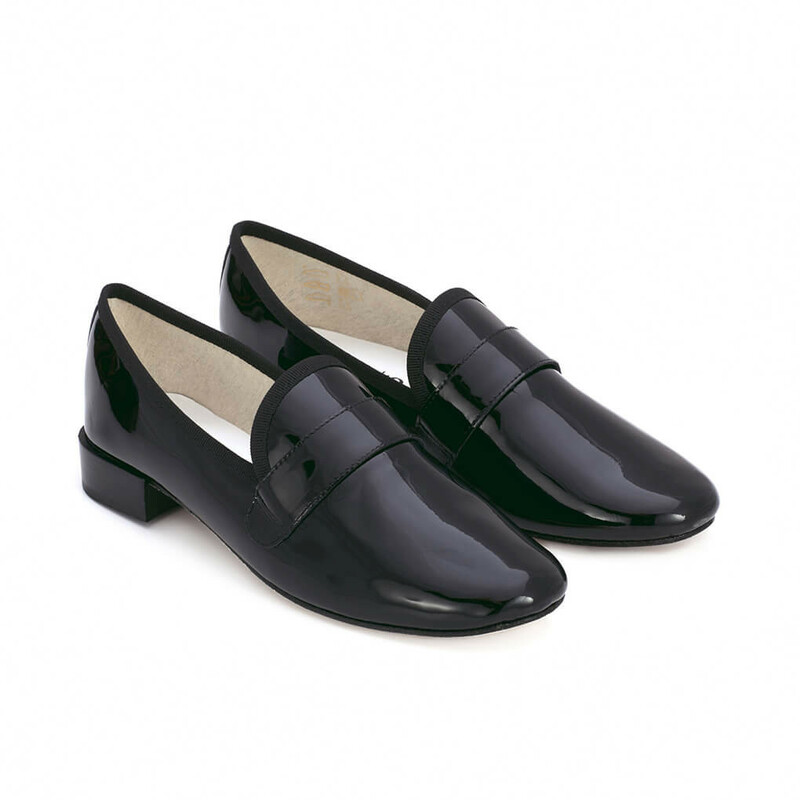 1 x Michael Loafer Black Patent was added to your wishlist.